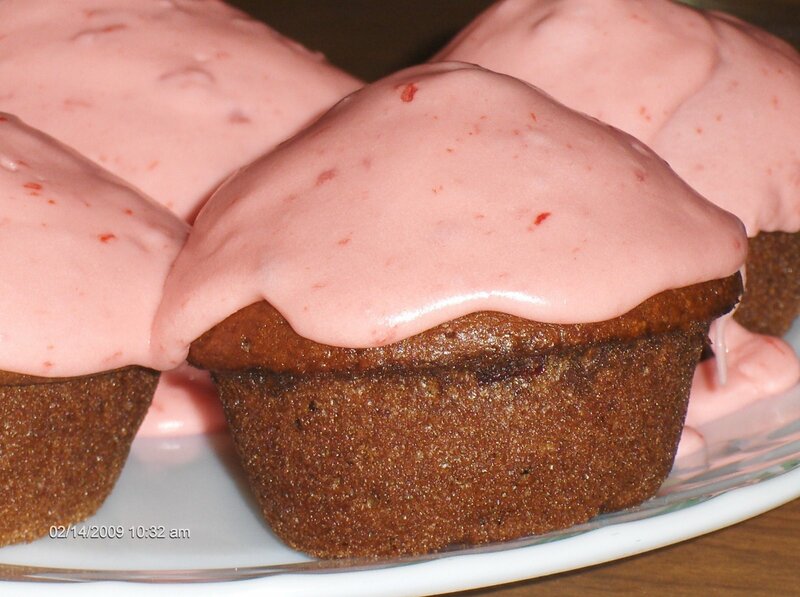 Place cake cubes in a large bowl and cover with cherry liqueur. Let stand 30 minutes. In a medium bowl, cream sugar and cream cheese well. Fold in all but 2 Tbl of the whipped topping. Stir into cake cubes. Add pecans and mix well. Spoon 1/2 of the mixture into serving bowl. Top that with 1/2 of the cherry pie filling. Top that with the other 1/2 of the cake cube mixture and then top that with the other 1/2 of the cherry pie filling. Refrigerate at least 3 hours. Top with the reserved 2 Tbl whipped topping and serve. Feeds 8 – 10. This is a great cake to take along to a holiday party this year. Preheat oven to 275 degrees. Grease and flour a bundt pan (tube pan) and set aside. Cream the butter and the sugar until the sugar is dissolved (this takes about 20 minutes of mixing and the mixture is no longer white). Sift flour and baking powder together. Beat in egg yolks, one at a time, alternating with flour/baking powder mixture. Add wine. Fold in pecan pieces and raisins. Beat egg whites until stiff peaks form and then gently fold them into the batter using a rubber spatula. Pour into prepared pan and bake 4 hours. Remove from pan when completely cooled. Sprinkle with powdered sugar. *Allow the egg whites to come to room temperature to get better results. We made these last night. I would have pictures for you but they were scarfing them down as fast as I made them. These are definitely a kid’s favorite! Remove biscuits from can and roll each individual biscuit in your hand to make it a long oval shape (just like making snakes out of play dough =) don’t make them too skinny though). Slice each “snake” into 4 to 5 pieces and roll those in your hand to make the ball shape. Set on a plate, not touching each other, until all the biscuit balls are made. Drop carefully into hot oil (375 degrees) and flip if necessary (they usually flip on their own which is pretty neat but if they don’t then you need to flip them). Cook until browned, usually about 1 minute. Don’t overcrowd your pan. You just want about 5 doughnut holes cooking at a time. Remove from oil and drain on a paper towel lined plate. Glaze or cover while they’re still warm. Mix together about ¼ cup of powdered sugar and a small amount of water. Heat in the microwave 30 seconds. Mix again. It should be pretty thin; if it’s not, add a little more water. You want it thicker than water but thinner than frosting. Using a spoon, roll doughnut holes in glaze and place on a plate that is NOT lined with paper towels. Mix together 2 Tbl cocoa with ¼ cup powdered sugar. Stir well. Roll doughnut holes in mixture. Mix together 3 Tbl cinnamon with ¼ c granulated sugar. Roll doughnut holes in mixture. This recipe comes from Quaker Oats and is one of my favorites. I just love lemon cookies! Lightly spray cookie sheet with no-stick cooking spray or oil lightly. Beat margarine and 1-1/4 cups sugar until fluffy. Add yogurt, egg whites, lemon peel and vanilla; mix until well blended. Gradually add combined remaining ingredients except powdered sugar; mix well. Cover and refrigerate for 1 to 3 hours. With lightly floured hands, shape dough into 1-inch balls; place on prepared cookie sheet. Using bottom of glass dipped in sugar, press into 1/8-inch thick circles. Bake 10 to 12 minutes or until edges are lightly browned. Cool 2 minutes on cookie sheet; remove to wire rack. Sift powdered sugar over warm cookies. Cool completely. Store tightly covered. I just got done making these as a Valentine’s Day surprise for my hubby. I hope he likes them (I really already know that he loves them :-D) I think you’ll like them too! 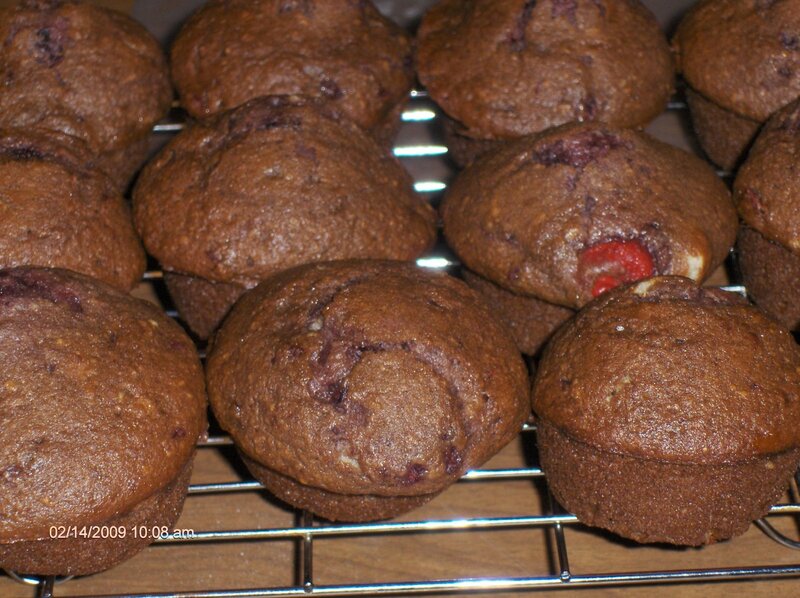 This recipe makes & frosts 13 cupcakes. 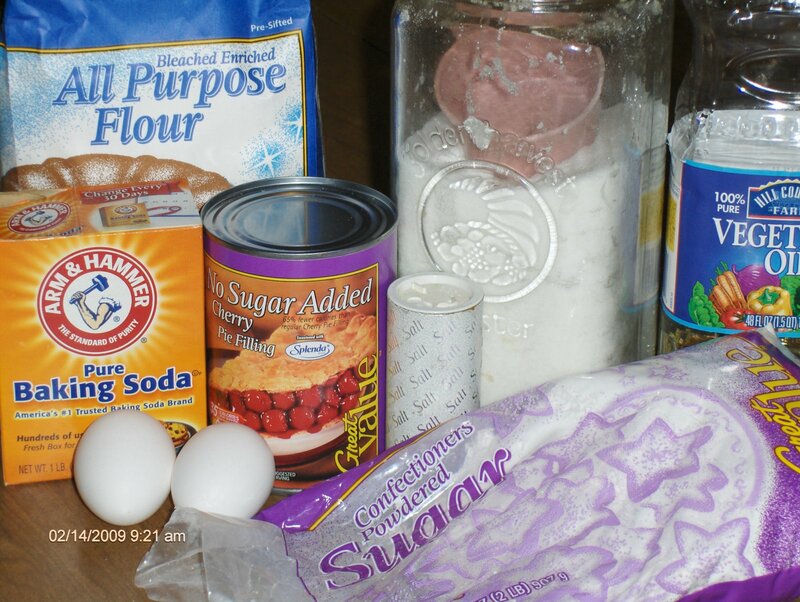 Mix together by hand flour, sugar, baking soda and salt. Stir in oil and eggs. Mixture will be crumbly. Using an electric mixer (or a blender works too), beat in cherry pie filling. 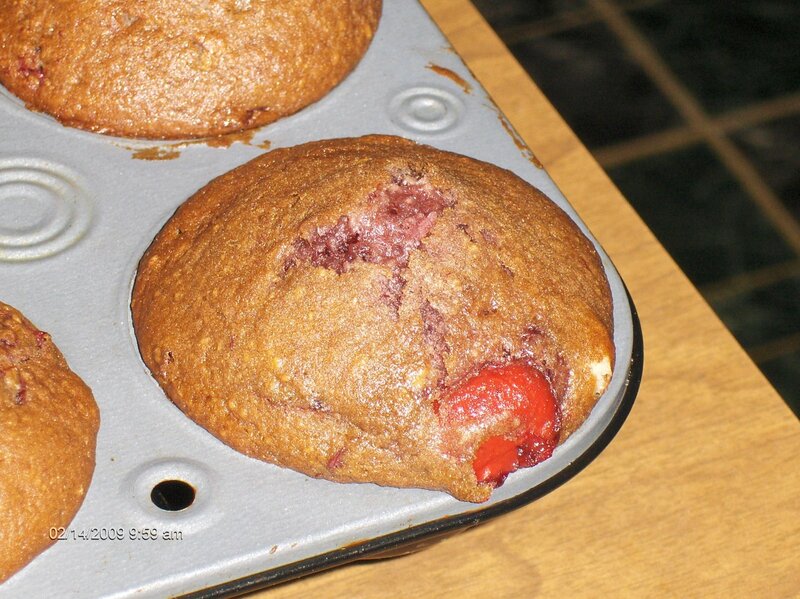 Pour into cupcake tins that have either been sprayed with nonstick cooking spray or lined with cupcake liners. Bake @ 350 degrees for about 23 minutes or until toothpick inserted in center comes out clean. This recipe can be made into a sheet cake (9 x 13 inch); just increase the baking time to 30 minutes. Mmmm look at that cherry poking out of there! Let cool on wire rack in the pan for about 10 minutes then remove from pan and let cool completely before frosting. Cream butter and vanilla. Gradually add powdered sugar (1 c at a time) until desired consistency. Beat in cherry pie filling (this will make the frosting thinner again). Beat in remaining powdered sugar ½ c at a time until desired consistency is again reached.